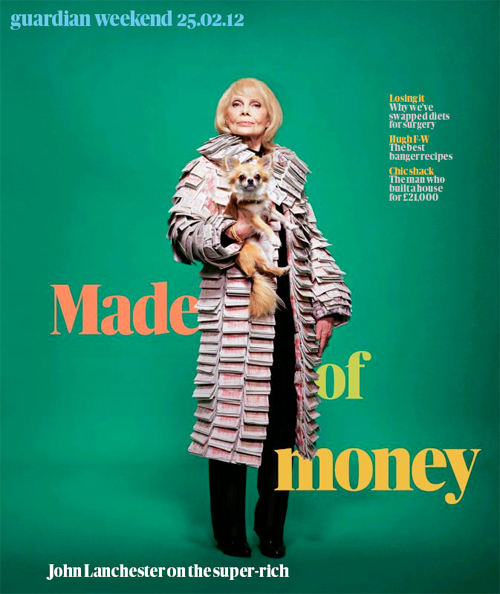 Merlin the Chihuahua starred on the Guardian Weekend’s glossy front cover modeling a LoveMyDog Rivington Collar. The shot was used to highlight John Lanchester’s article about why the super-rich love the UK. Apparently in 1990, to come in the top 200 of the Sunday Times’s annual rich list, you needed £50m. Now you need £430m! If you ask us, it certainly makes the Rivington collection look like excellent value for money. Now where did Rabbit put the keys to that Ferrari?